Hand Drawn Vector Abstract Cartoon Summer Time Graphic Illustrations Artistic Seamless Pattern With Beach Gull Birds,camping Tent,watermelon And Banana Fruits Isolated On White Background. Cliparty, Ilustracje Stockowe Oraz Ilustracje Wektorowe Royalty Free. Image 116304045. 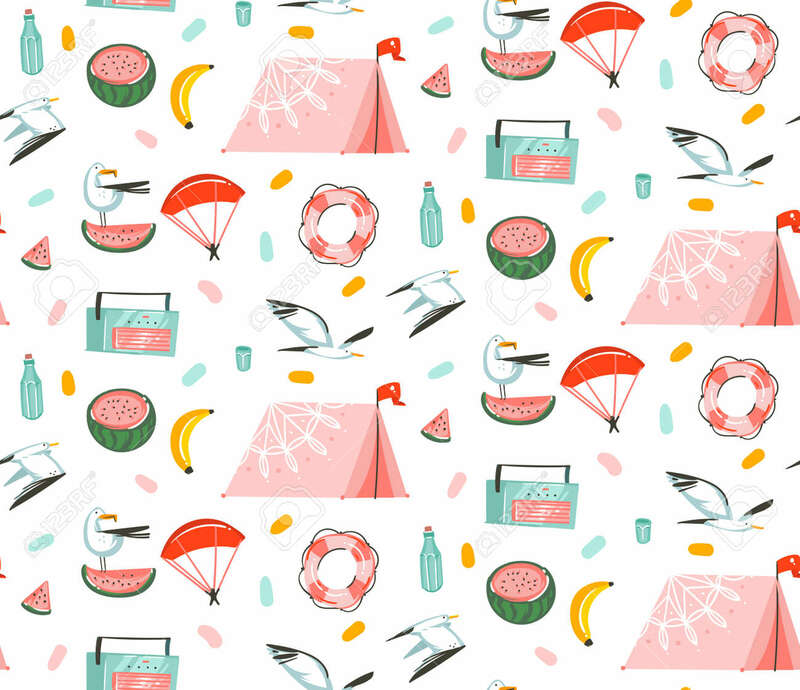 Zdjęcie Seryjne - Hand drawn vector abstract cartoon summer time graphic illustrations artistic seamless pattern with beach gull birds,camping tent,watermelon and banana fruits isolated on white background. Hand drawn vector abstract cartoon summer time graphic illustrations artistic seamless pattern with beach gull birds,camping tent,watermelon and banana fruits isolated on white background.